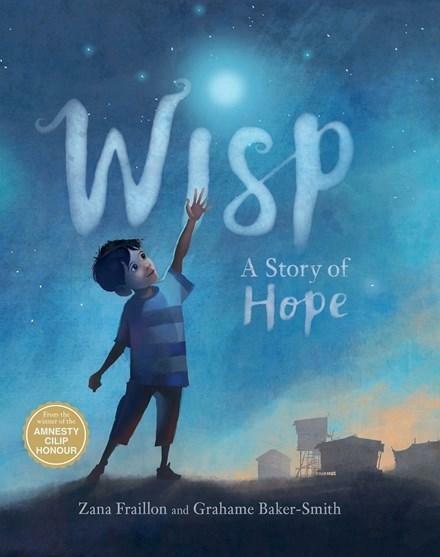 Idris is a small boy in a small, dark world – a refugee camp where he has spent his whole life. The people there are lonely and suspicious, and have slowly had their memories and wishes worn away by sadness. One evening, bright little wisps of light start to appear in the camp,carrying back memories of happier times and the taste of hope for better ones. Zana Fraillon, a past winner of The Readings Children’s Book Prize for her book The Bone Sparrow, brings her characteristic warmth and urgency to the picture book format, beautifully accompanied by moody illustrations by Grahame Baker-Smith. Highly recommended for ages 3+. George Delaney is a children’s and YA specialist at Readings Kids.